Product information "Denim Button Down Shirt - Light Blue - Regular Fit"
Washed light blue denim with our distinctive button down collar and its marvelous roll. For this rather casual shirt, we decided to go for a breast pocket. Given the beautifully curved shape (like on Neapolitan sports jackets), this adds a special touch without looking too stuffy. 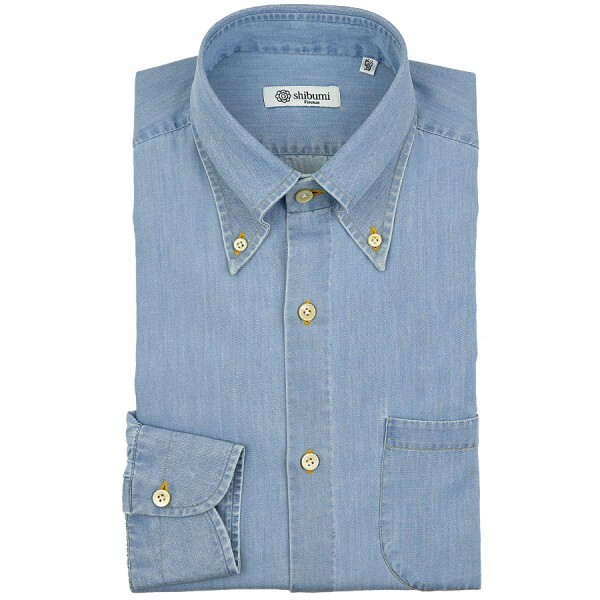 Related links to "Denim Button Down Shirt - Light Blue - Regular Fit"